Kenya’s state-owned power producer, KenGen, has announced plans to raise funds from the market later this year and it may opt to issue the country’s first green bond. KenGen has a 1,631-megawatt annual capacity and it supplies 70 percent of the Kenya’s electricity. Private investors hold 30 percent of the company while the rest is held by the state. Rebecca Miano, KenGen’s CEO, said the company would go to the market once it redeems its 10-year, 25 billion shillings ($250 million) bond in October. “Our finance people are burning the midnight oil to look at the possibilities,” she told Reuters in an interview late on Wednesday, without giving a figure for the target amount. The so-called green bonds help to finance projects in the renewable energy, energy-efficiency, green transport and wastewater treatment sectors. Kenya’s capital markets regulator is set to unveil regulations for private issuance of green bonds next week, paving the way for the first issue. Although Kenya has high consumer electricity tariffs compared with countries like Egypt and South Africa, the government’s policies had boosted investment in the sector, Miano said, helping it to avoid blackouts or schedule cuts. “Kenya was among the first countries in Africa to liberalise generation and it has its own advantages. You have many players and it brings competition… you have adequate power,” she said. 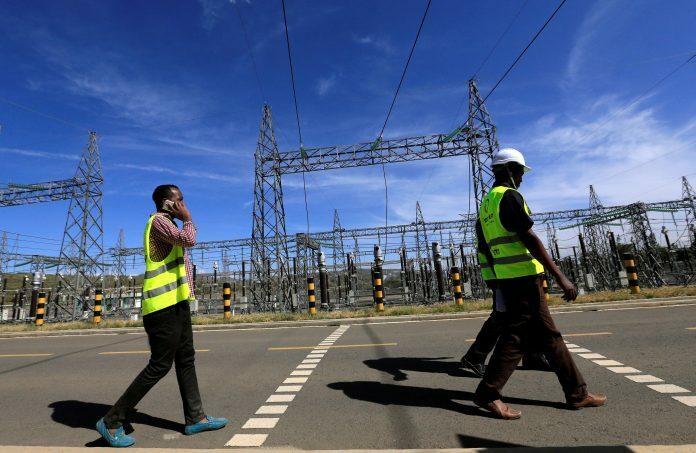 KenGen has shifted its strategy in recent years to focus on renewable energy in order to reduce the risk posed by its hydro generation dams, which are normally susceptible to a drop-in production when the rains fail. Geothermal steam, hot underground steam found in the Rift Valley which is used to drive turbines for electricity production, accounts for nearly a third of the firm’s annual production, Miano said. “Our geothermal-led strategy is bearing fruit,” she said, adding the company was developing capacity for an extra 720 MW in the next four years to 2022. The new plants being developed are mainly in geothermal with one plant, with a capacity for 80 MW, being in wind. KenGen paid a dividend to shareholders for its year ended last June, breaking a two-year dividend drought associated with the costs of building the new geothermal plants and installing additional capacity in existing plants. “The outlook is positive because we have projects that we are implementing that will increase our business and we do hope that the board will continue (recommending a dividend),” she said.